Steve Gibbons is one of the great Birmingham musicians who has played in, and with, some of the great bands and musicians of the city. Steve Gibbons started his professional life as a plumber’s apprentice in Harborne. He joined the Dominettes by 1960 to replace Colin Smith, who had left to join Jimmy Powell’s backing group. Colin Smith later changed his name to Carl Barron and became the singer with The Cheetahs. An Elvis Presley fan, Gibbons’ first performance with The Dominettes was at The California public house near Weoley Castle. Regular music venues for The Dominettes in the early 1960s were the Grotto Club on Bromsgove Street, and The Sicilia Coffee Bar in Edgbaston. 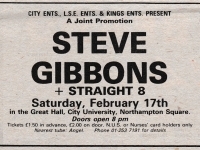 The group by this time included many R&B numbers into their set and this style of music suited Gibbons’ gritty vocals. Although the Dominettes had a rougher image than most groups at that time, and were sometimes hired to back strippers at some of the more seedy establishments, they attracted quite a following. Another regular venue for the Dominettes was the Firebird Jazz Club on Carrs Lane in central Birmingham and the group posted advertisements which read “anything considered”. By 1963, The Dominettes were renamed The Ugly’s. Eventually, the Ugly’s were able to secure a recording contract with Pye Records and the first release from the group in 1965 was an original song entitled “Wake Up My Mind”, composed by Burnet, Holden and Gibbons. The single was advanced for its time and featured some socially conscious lyrics – very unlike the kind of material produced by most other pop groups of the period. The record did not sell well in the United Kingdom, but was a big hit on the national Australian chart, reaching No. 14. John Gordon left in 1965, and was replaced by Jimmy O’Neil from a local band called The Yamps (he had also spent some time with The Walker Brothers). A second Ugly’s single released the same year was “It’s Alright”. This one featured prominent use of a harpsichord, as played by O’Neil. The record fell short of the UK Singles Chart, despite the group’s appearance on the television program, Ready Steady Go! to promote it. Other Ugly’s singles were released between 1965 and 1967 including a cover version of “End of the Season”, a song composed by Ray Davies. This represented a departure from the Ugly’s’ previous records, as they had all been group compositions up to that point. During this period, there were many personnel changes in the Ugly’s line-up which included the departure of Bob Burnett and John Hustwayte. Bass guitarist Dave Pegg joined for a year before leaving to join the Ian Campbell Group. He was replaced by Dave Morgan from a local band called Blaises, and had also been a former member of Danny King’s Mayfair Set. Dave Pegg was later in a local group called The Exception and from there, he joined Fairport Convention. Dave Morgan also composed the song “Something” which ended up as the b-side of the Move’s chart-topping “Blackberry Way” single. Jimmy O’Neil left the Ugly’s in 1968 to join The Mindbenders and founding member Jim Holden also departed later that year. Former Brumbeats guitarist Roger Hill joined the Ugly’s and stayed for almost a year, before leaving to join previously-departed Dave Pegg in forming a new band called The Exception. Roger Hill was replaced by Will Hammond (from The Yamps) who stayed in the Ugly’s line-up until the end. Jim Holden was replaced by drummer Keith Smart from Danny King’s Mayfair Set. Keyboard player Richard Tandy, who also played on the Move’s “Blackberry Way”, joined in 1968 and eventually joined the Electric Light Orchestra. By the end of 1968, Gibbons was the only remaining original member of The Ugly’s. This final line-up also included Will Hammond, Dave Morgan, Keith Smart, and Richard Tandy. They recorded a projected single “I’ve Seen The Light” which was never released. Gibbons teamed up with guitarist Trevor Burton from The Move in 1969 and, by April of that year, they had formed a new group called Balls, along with singer/guitarist Denny Laine (formerly of the Moody Blues), and Ugly’s’ drummer Keith Smart. The project was relatively short lived and after recording a solo album, Gibbons left the band in February 1971. After the breakup of Balls, Gibbons returned to Birmingham from London to join The Idle Race for three months in 1971. 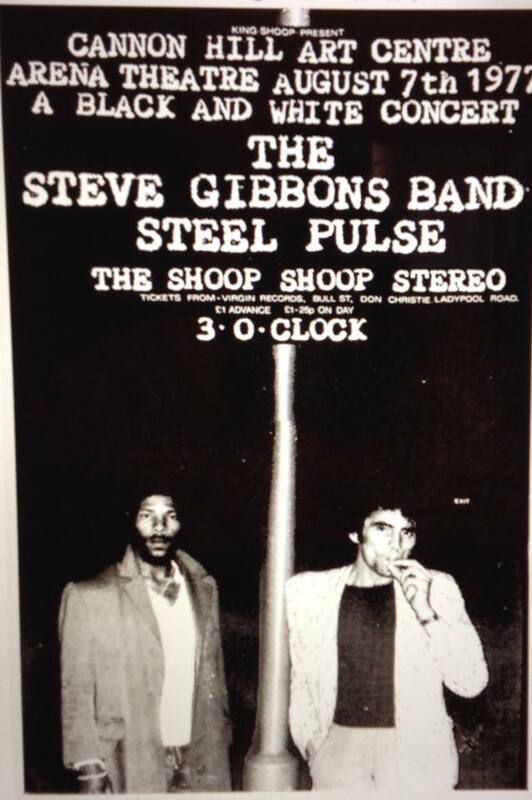 This band rapidly evolved into the Steve Gibbons Band. His new band worked the pub and club circuits until 1975 when they were spotted by Peter Meaden, former manager of The Who. 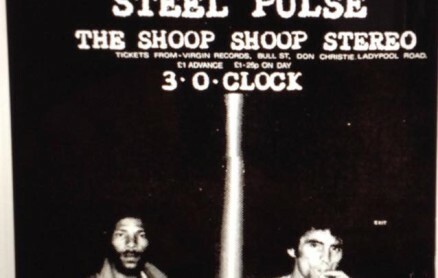 This led to the Steve Gibbons Band joining The Who’s management stable and recording their first Polydor album Any Road Up in 1975 (With John Entwistle of The Who playing on a few tracks). 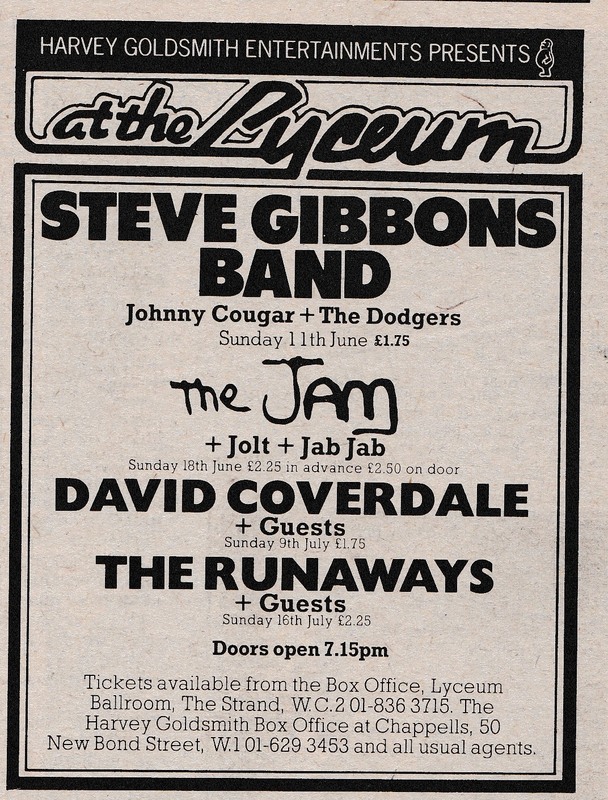 This was followed in 1976 by a tour with The Who in the UK, Europe and the United States. Playing the concert arenas, they shared the stage with Little Feat, Lynyrd Skynyrd, Electric Light Orchestra, The J. Geils Band and Nils Lofgren. Their next album, Rollin’ On included their biggest hit single, “Tulane”, a cover of a Chuck Berry song. The single reached No. 12 in the UK Singles Chart and spending eight weeks in the Top 40. They eventually made three more albums with Polydor. Gibbons formed the Dylan Project in the late 1990s. The trio covered Bob Dylan songs and played material by Gibbons. 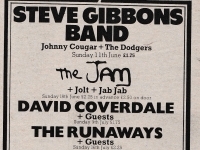 Gibbons continues to tour with his band, and is also a member of the hit UK show ‘Brum Rocks Live’, along with Bev Bevan (The Move, ELO), Trevor Burton (The Move), Danny King, and writer Laurie Hornsby. The show toured the UK, and was produced and promoted by Brian Yeates Associates. Steve gibbons is the real deal. The best birminghams ever produced. Spontaniius, inventive still looks great& has stayed true to himself & not followed silly fads. Never had a mullet in the 80s,&never became a butlins type entertainer like so many did. He’s still got a fantastic band & has a great live show & new DVD & album & all his back catolouge is available. Go & see him you won’t be disappointed !!!! Can’t believe no one has put anything here about Steve ! One of the greatest entertainers the midlands has ever produced. Entertainer? 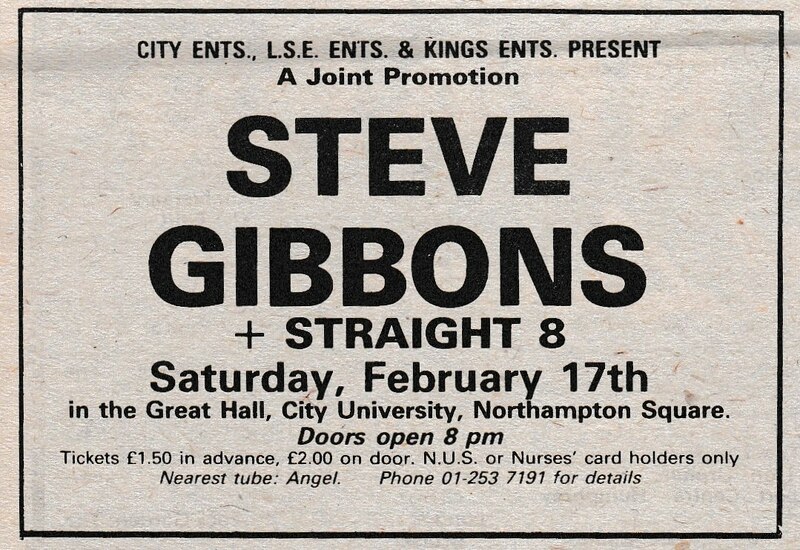 I hear you ask… The Steve Gibbons Band are still a great rock outfit. But catch the guy at one of his ‘solo shows… Yes… You get the rock. But he’ll do songs that will bring tears to your eyes. Stuff you never expected. And at the end of the night ? He’ll have you crying with laughter… THAT.. Is an entertainer. 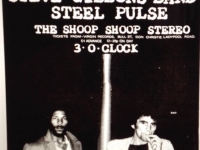 Can anyone tell me how I can get in touch with Steve Gibbons. I went to school with him at Station Rd School, was in the Boys Brigade with him and have some photos to send him if anybody can help. I have lived in Australia since 1964 & lived in Gordon Rd, Harborne. a way to contact him through one of those? Did you get a reply to your question? I’ll be seeing Steve next week, and can pass on a message if you wish… Please email me directly. Especially as several artistes the powers that be have chosen do not originate from this city. There is no more deserving case. !